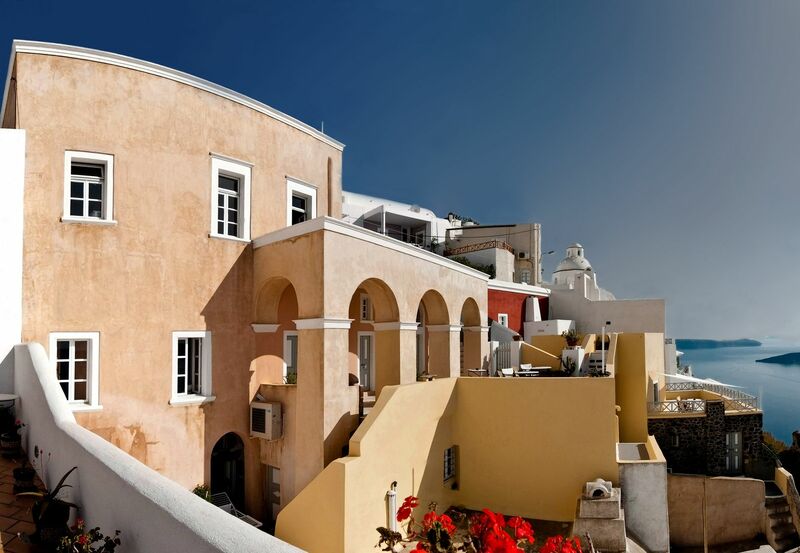 Cori Rigas Suites are a collection of beautifully furnished suites located near the center of Fira. Enjoy amazing views from the spacious rooftop terraces and swim in the unique cave style pool. 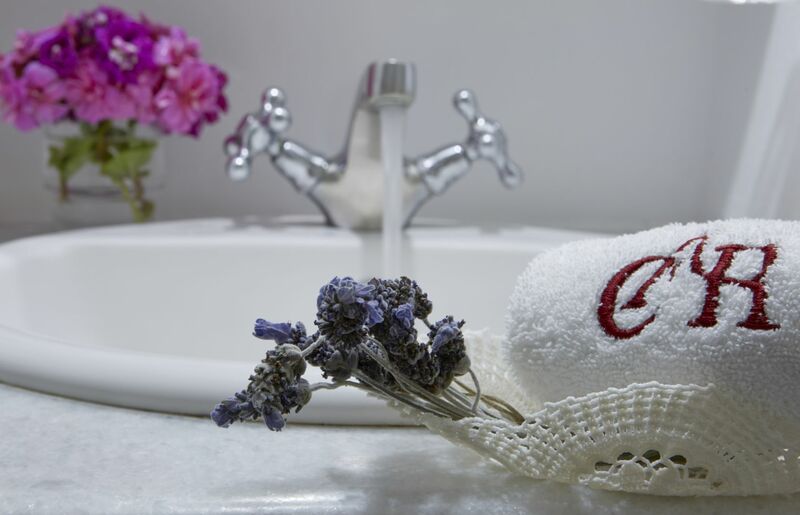 Each suite is individually decorated and offers a more traditional style accommodation, many with private jacuzzi tubs for total relaxation. 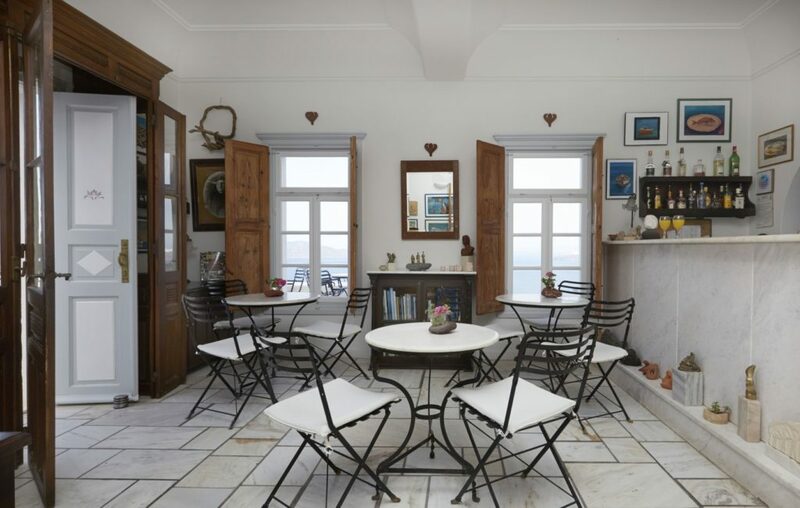 The attractive Art cafe with its frontline views offers guests the perfect location to unwind with a special cocktail or enjoy a lite lunch, with the blue Aegean straight ahead, a great choice for that romantic break in Santorini. 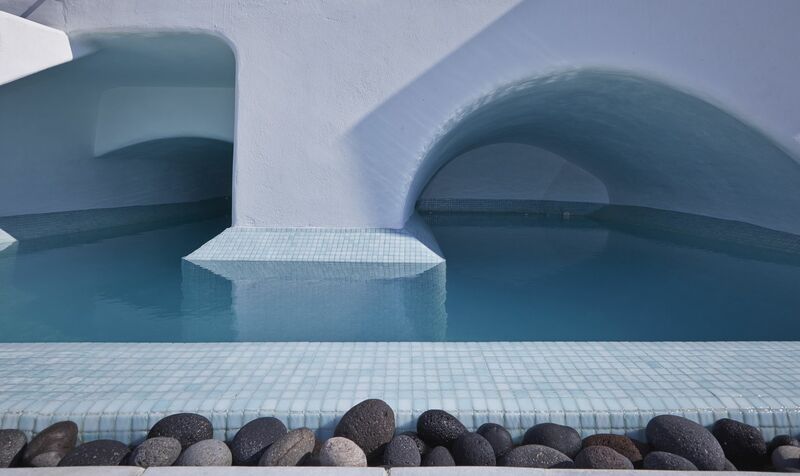 The property features an unusual cave style swimming pool that is shared by all guests, from here you can enjoy great views of Santorini Caldera. 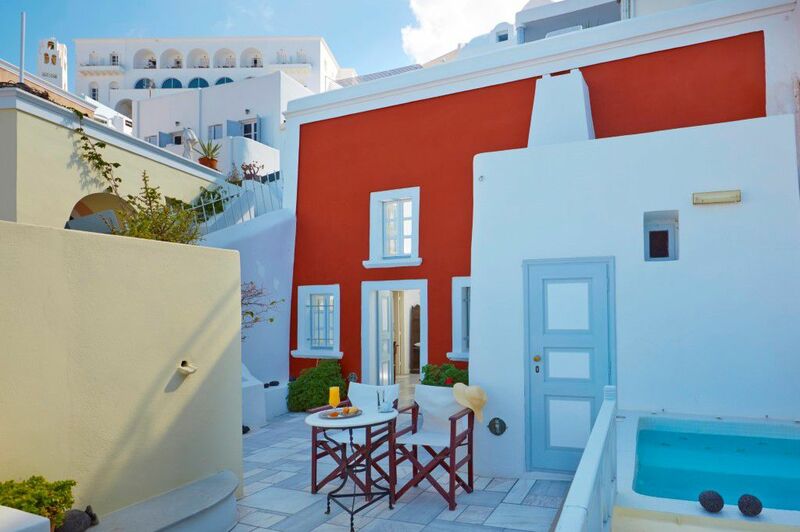 Cori Rigas Luxury Suites location: Offering wonderful views of the Caldera and just minutes away from the islands capital Fira with its many tourist shops, cafes, restaurants and lively nightlife. 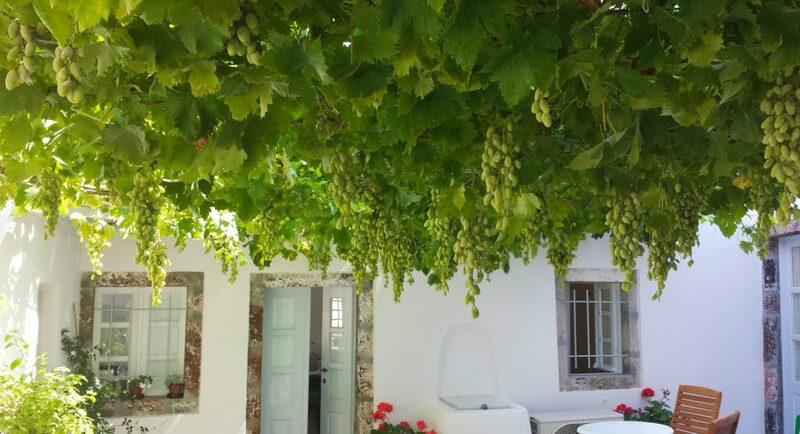 This property is set in a peaceful location but has everything on your doorstep. 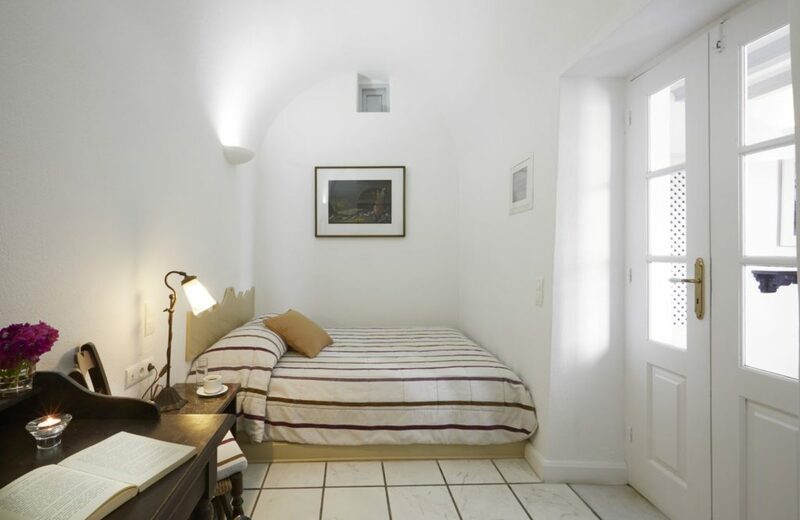 Petite Suite with Shared Terrace – The Petite Suite accommodates up to 2 guests in a traditional cave room, open plan room in local design and offers amazing views to the sea, the volcano, and the sunset. 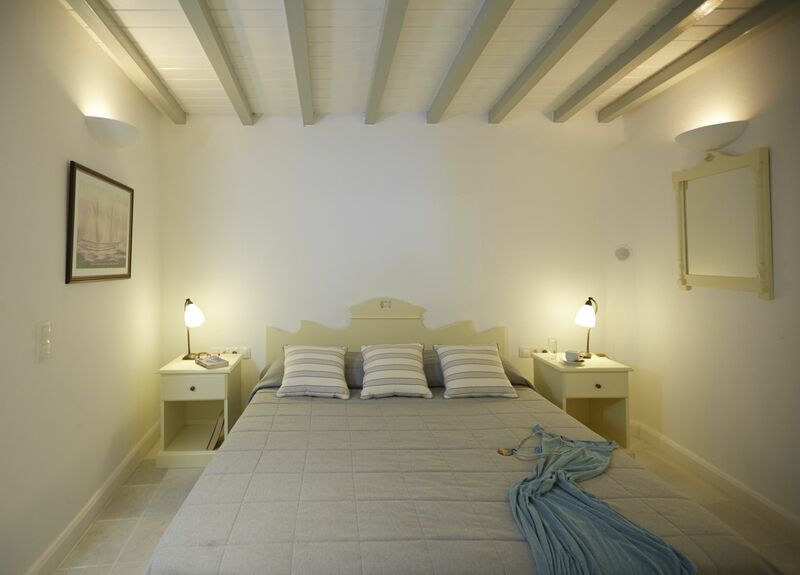 The bed is situated on a mezzanine above the sitting area while the bathroom features a shower. This suite has a shared terrace. 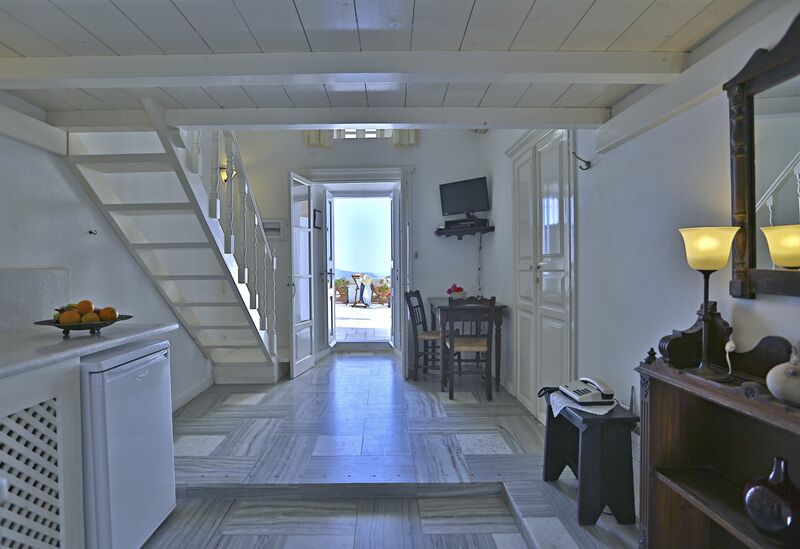 Petite Suite with Private Balcony – Cozy double suite with views to the Caldera, sitting area and private balcony with wonderful views. This is the ideal choice for a romantic getaway with everything on hand. 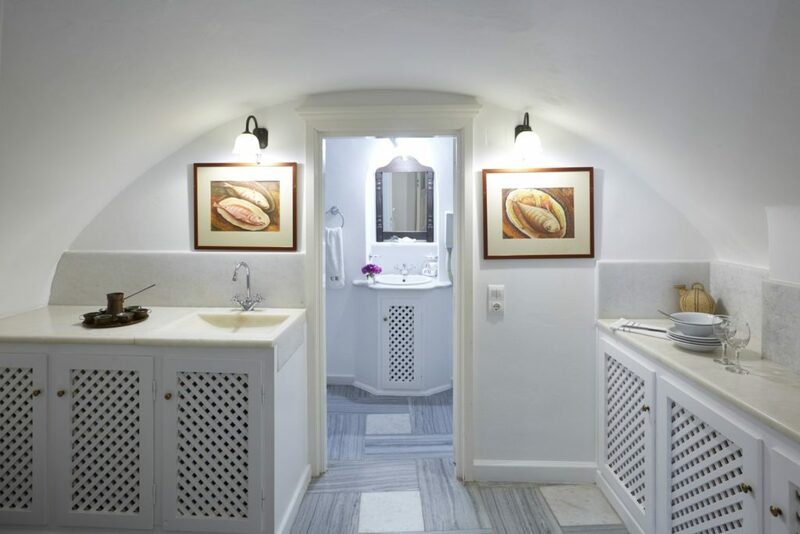 Petite Jacuzzi Suite – The Petite Jacuzzi Suite is furnished with traditional design, the private terrace with Jacuzzi and lovely views of the caldera and small volcanic islets. 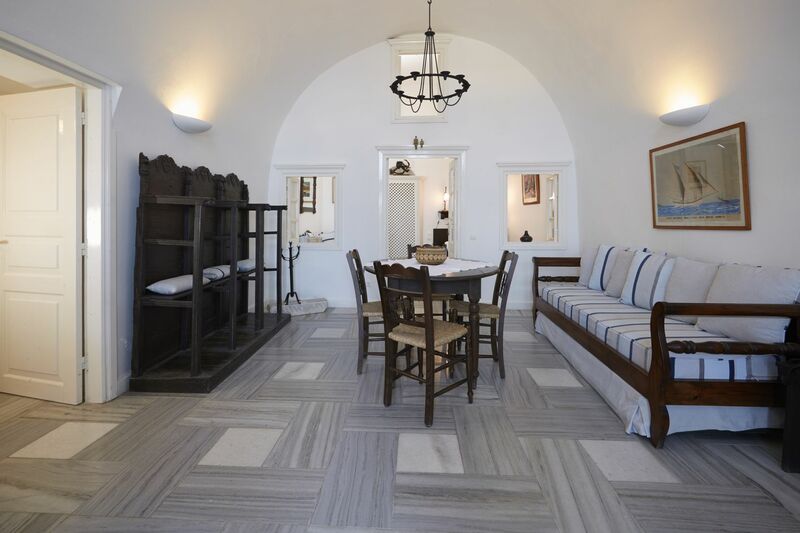 Junior Suite – The Junior Suites accommodate up to 2 guests in spacious rooms of traditional design and offer romantic courtyards with table and chairs for private use. 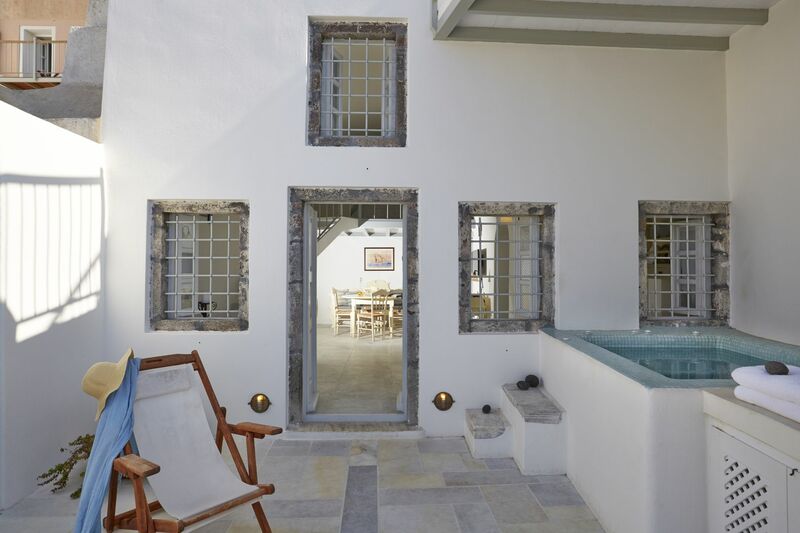 This is an internal courtyard without Caldera views, but guests have access to the rooftop terrace offering amazing Caldera views. Jacuzzi Suite – Spacious accommodation with a separate living area and double bedroom with en-suite. 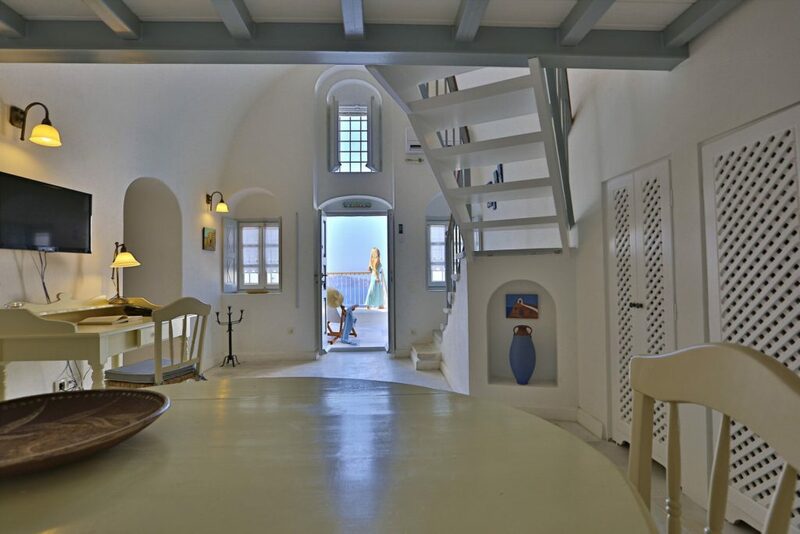 A private balcony with views across the shimmering Aegean and Caldera. Superior Junior Suite – The Superior Jacuzzi Suite accommodates up to 4 guests who will enjoy private hot tub and sun loungers. Furnished in traditional style with unobstructed sea, sunset & volcano view from the private balcony. 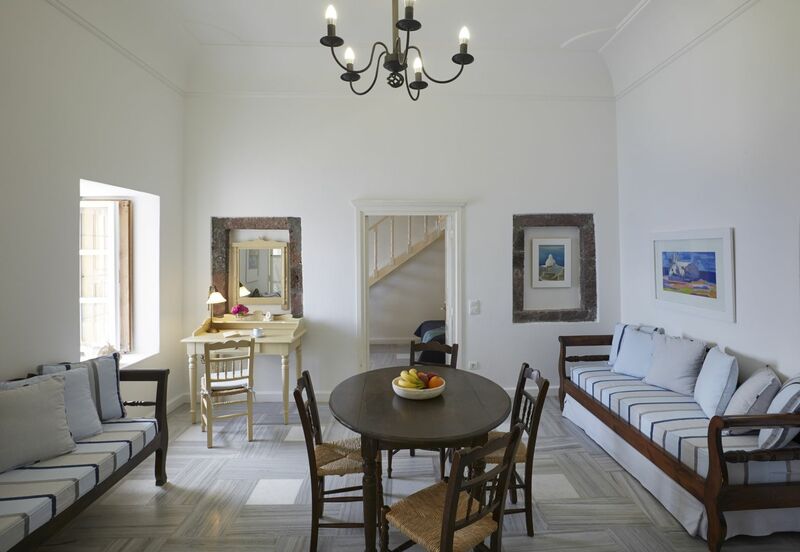 The spacious living area features a double sofa bed which makes this accommodation ideal for families. 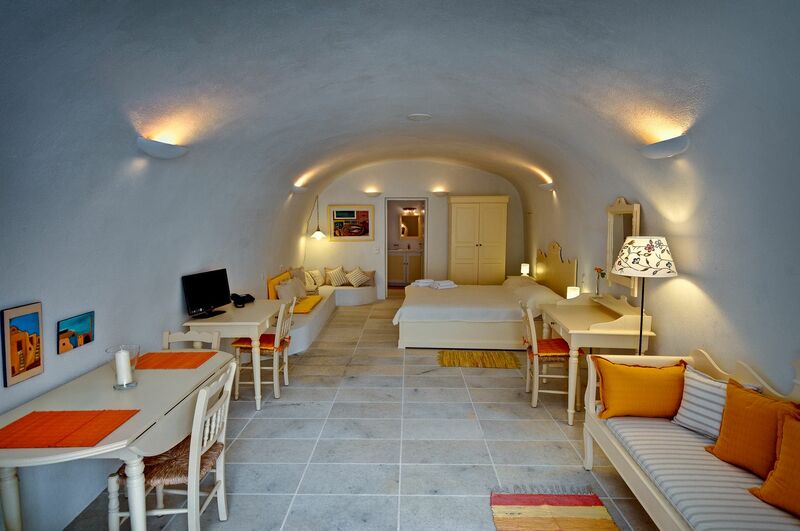 Senior Suite – This cave style suite can accommodate up to 4 guests in comfort and features a romantic courtyard with seating. These suites are very spacious and they are all located on the ground floor. 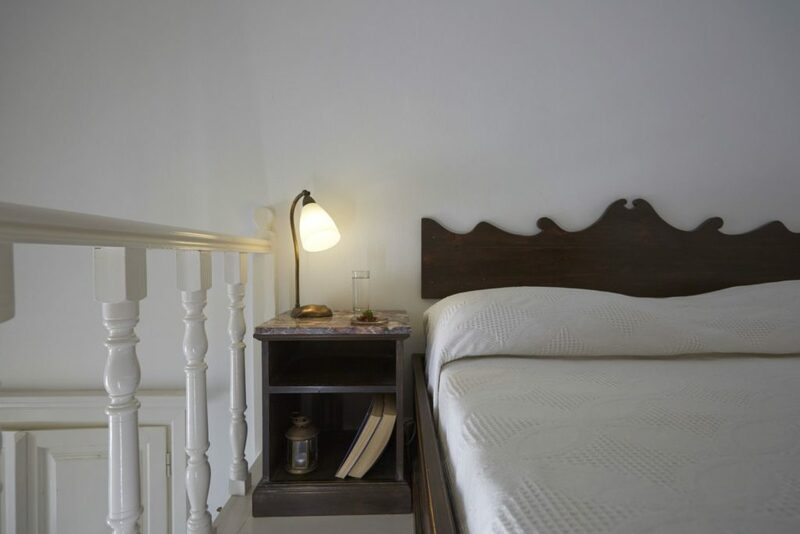 Each suite is made up of a living room with two twin beds and a separate bedroom with a comfortable king size bed. Please note this suite does not have Caldera/sea views. 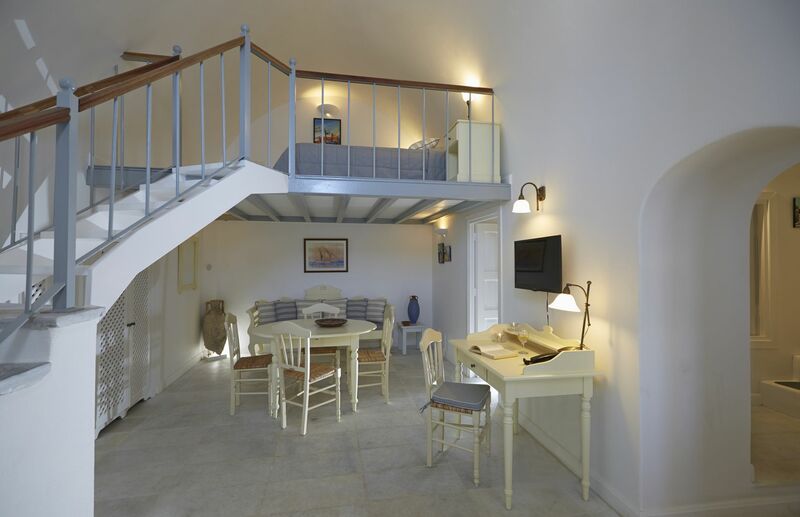 Exclusive Suite – With private terrace and Jacuzzi tub, a great place to enjoy the Santorini sunsets. 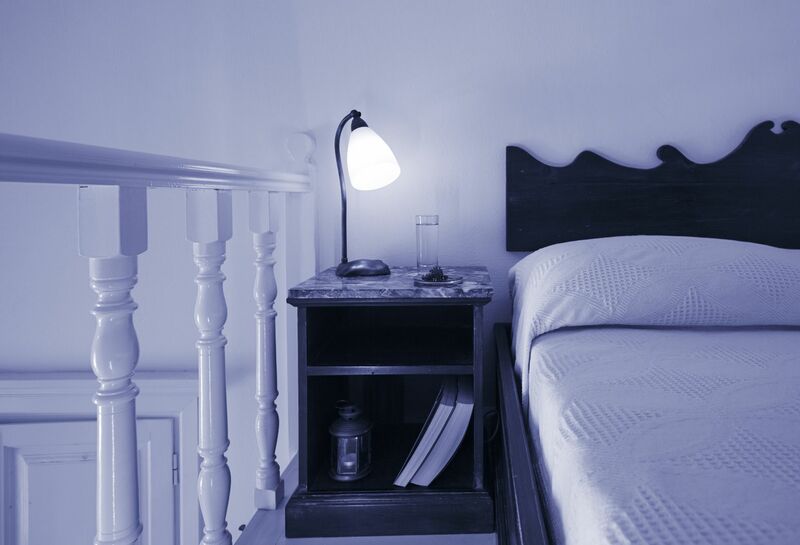 This suite can accommodate up to 5 guests in a double room, double bed on the mezzanine and a further single bedroom. 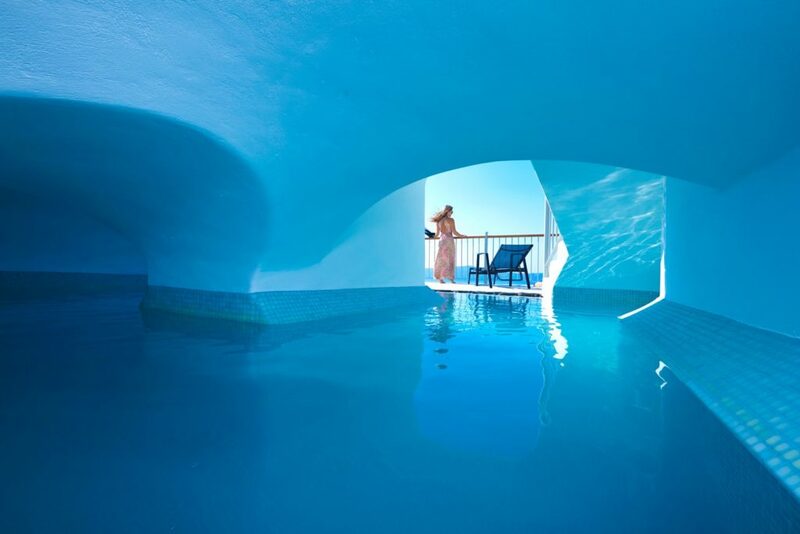 This suite has direct access to the cave style swimming pool. 2 Bedroomed Suite – Good choice for families with large shared terrace, this 2 bedroom suite offers space and comfort. 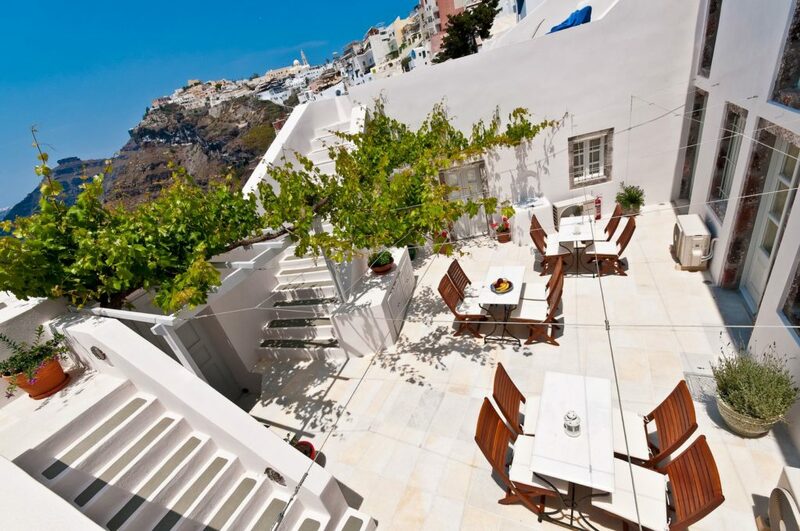 Enjoy the Santorini sunsets from the terrace before popping into Fira for a tasty dinner.